I’ve been following Cristian Mihai’s blog almost since I began blogging approaching five years ago. I was first attracted to it because of the excellent writing in English by a Romanian, having taught English in Romania for around a decade. Since then I’ve found other Romanian blogs written in excellent English covering one or more of the wide diversity of topics you would find on mine, which as followers will know, breaks one or two cardinal rules if you want a lot of followers: posting frequently, even daily, and sticking to a theme. As I also speak and read Romanian pretty well, though I’ve never cracked writing it well, I now follow quite a few Romanian blogs posting in just Romanian or both Romanian and English, though I was sad to see that after my long absences several seem to have ceased to blog. I used to post fairly frequently, though never every day, but some serious health issues two and a half years ago meant that posting became very erratic, particularly as I was also attempting to keep up with editing, and blogging on, a site I created for the Yorkshire village in which I live. So followers may well find me writing on any one of my major hobbies – music, photography (on film); food and cooking; my efforts at writing fiction or ‘poetry’, as distinct from journalism (which was my profession), and our local writers’ club formed and run here in Wharfedale by a Romanian (! ); classic cars particularly my mini and vw camper; and a few others. Or my major hobby-horses which include: discrimination in any of its many forms; the beauty of Romania, it’s people, traditions and food, particularly my love affair with the Bucovina; the idiocy of politicians; my experiences with our superb National Health Service and its staff here in the UK and the determination of those in charge of it and successive Governments to destroy it; habitual use of certain ‘four letter words’; and again, a few others, including scrambled eggs! (I know, overuse of exclamation marks but perhaps merited here 😉 ). So, you have been warned; I am not taking up Cristian’s reblogging offer to find a lot more followers, but just to give him a bit of support. Hence this introductory blog which will be the first I’ll be asking him to reblog. After that, perhaps a few of my past blog posts then one or two new ones. This facility must surely be invaluable to those younger than me who wish to get better known and maybe make a bit of money out of their writing so it would be very sad to see it not continue. I have no such ambition. I write because I like to write – that’s all. Fascinating to read the stats produced by the WordPress monkeys for views etc of my blogs in 2014. 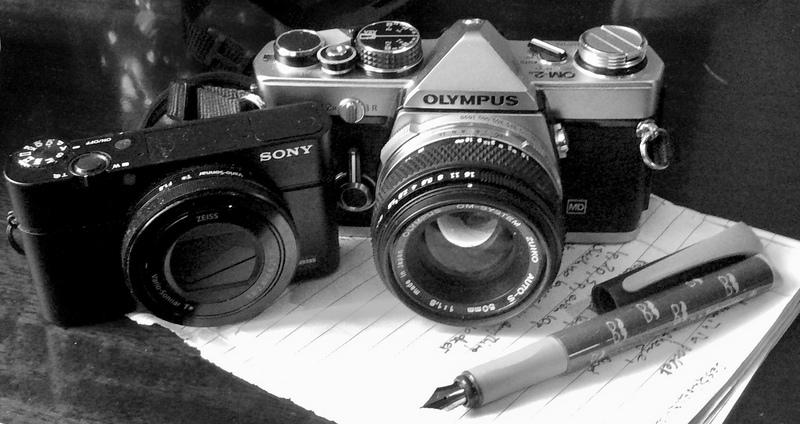 I had not realised just what an effect my bout of ill health had had, especially on my ‘hobby’ blog – that on classic cameras and photography and film. However, I was delighted to see that, for the most part, I had managed to maintain a reasonable presence on the blog/website I do for the village in which I live; as a service to the local community, albeit voluntary, I guess I unknowingly gave that a lot of priority. Grumpytyke is back, I hope fairly frequently, after a long absence, and I’m trying to decide whether to resume with the wide ranging subjects which I wrote about before – Romania, VW campers, classic minis, haiku, Yorkshire and food and cooking, and a few more as the mood takes me – or to limit myself to one or two themes. That might be difficult for me. I just ploughed through emails going back to February this year – helluvalot of spam – and was glad to see a lot of ‘old friends’ still posting, though some seem to have disappeared in recent months. Apart from one short post in February ‘explaining’ my absence I haven’t really posted or looked at emails for about a year.